Amity was our standout in 2017! She was one that looked ready for the show ring almost from birth. Long and level over the top line, she stands squarely and is very correct in her front end assembly. 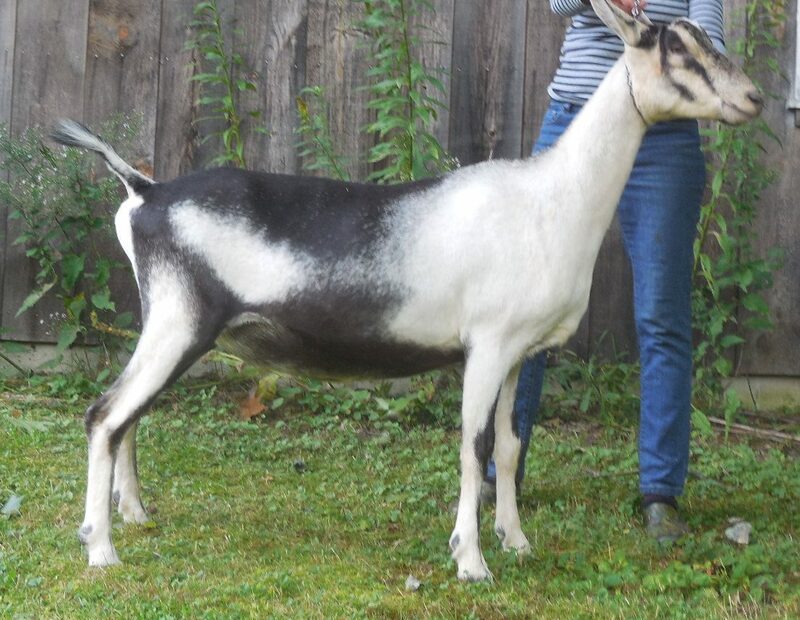 Shown once, at the New Hampshire DGA spring show, Amity placed first then went on to win Junior Champion, earning her dry leg!! Her twin, Annika, went Junior Champion and Best Junior doe in show at the 2018 Southern VT show. 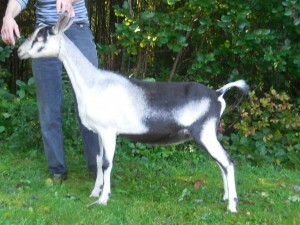 We plan to repeat the breeding of Amalie to Zydeco this season for obvious reasons!